I always felt like students at the University of Nottingham hit the jackpot in terms of university beauty. I mean, who wouldn’t want to be here every day? 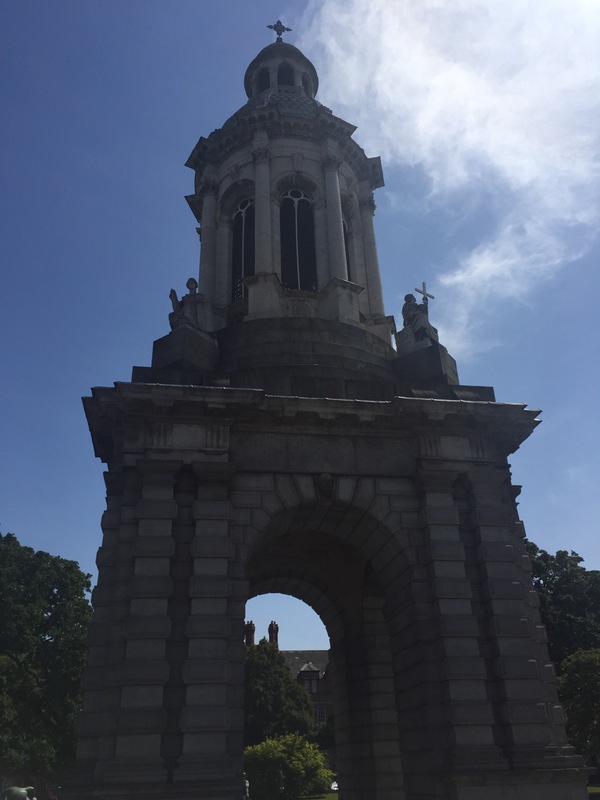 But I have to admit to being just a little green-eyed when we stepped foot onto the grounds of Trinity College during our trip to Dublin. 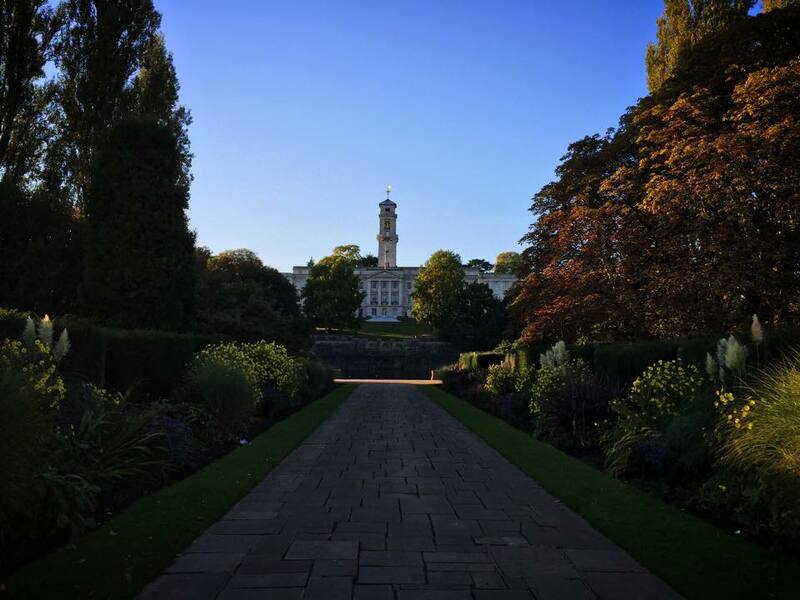 If Nottingham is the jackpot, then Trinity is the leprechaun’s little pot of gold at the end of the rainbow. 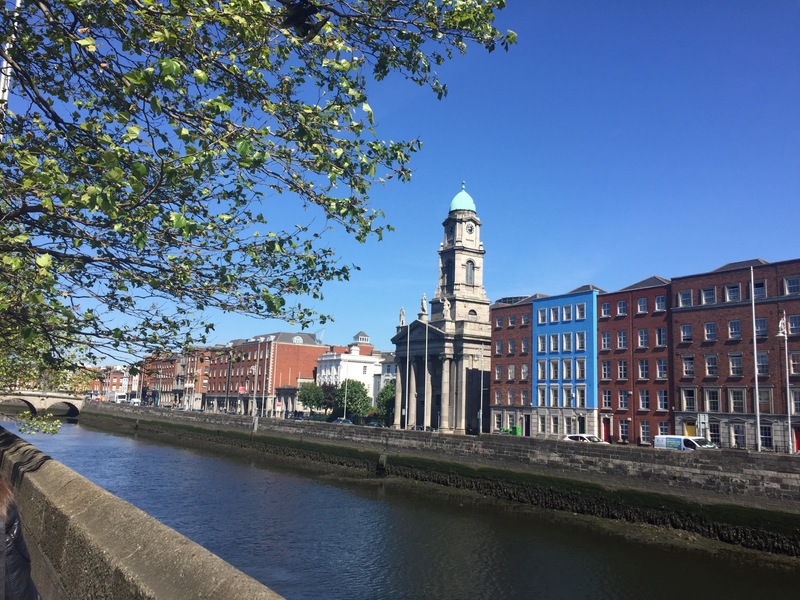 It’s a short walk down from the bustling, tourist-magnet that is the Temple Bar area and feels like its own little world with tranquil grassy green pitches and striking white buildings. 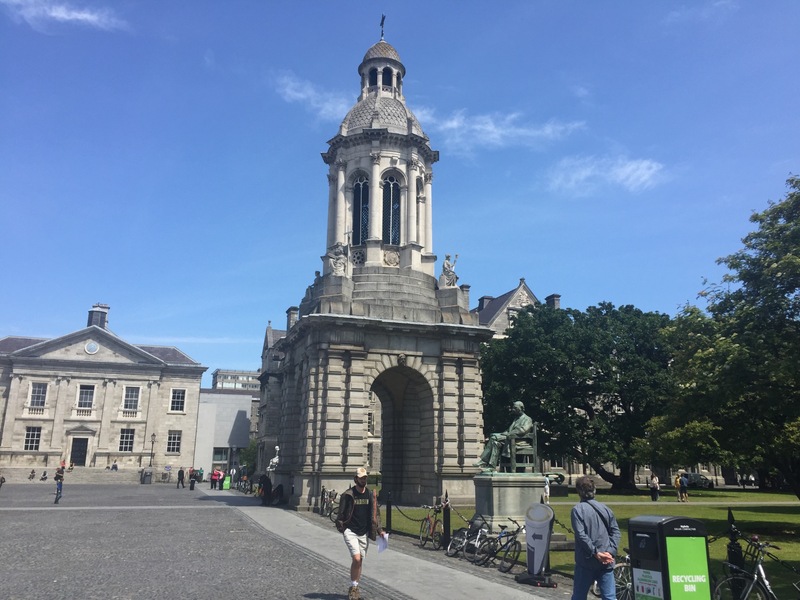 Trinity College is extremely beautiful, as grand as you’d imagine, and as busy as you’d expect for such a stunning place (with great potential for taking a panorama on your camera, I might add). Our University shop is better though. Just saying. And we have a lake. But, you know, it’s not a competition. 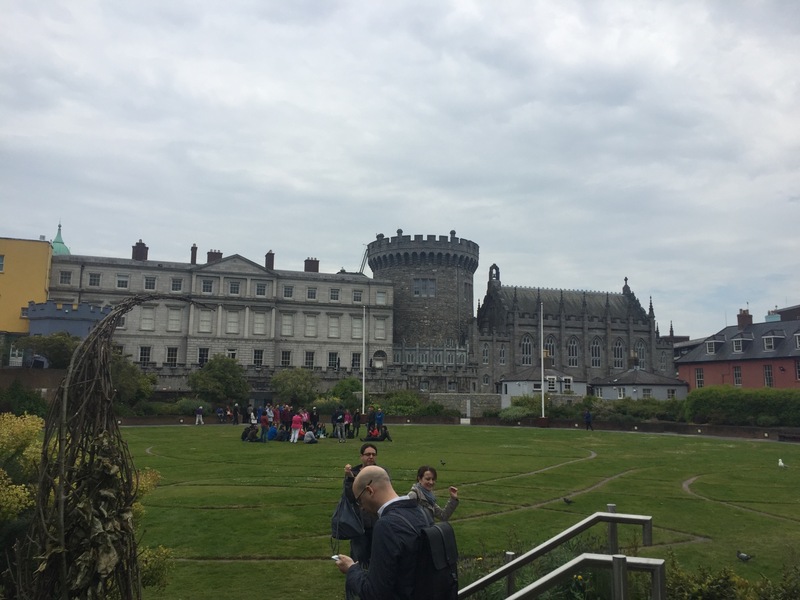 Another example of beautiful architecture which we saw was that of Dublin Castle. 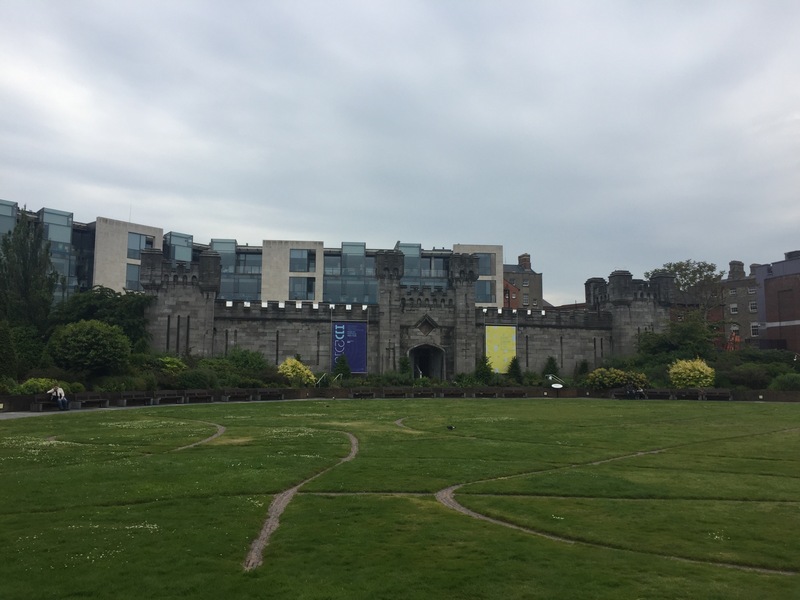 Set once more just off Temple Bar, within the Medieval area, there’s a peculiar contrast between the imposing, almost Gothic old castle with its adjoining chapel and the car park which borders it. Echoing the contrast of the grey stone castle and the modern, colourful cars, there is another such contrast found in the gardens of the castle, which are juxtaposed against another tall, modern building behind the Gate House in the gardens (I know not finding out exactly what the building was makes me a bad blogger. I accept that). 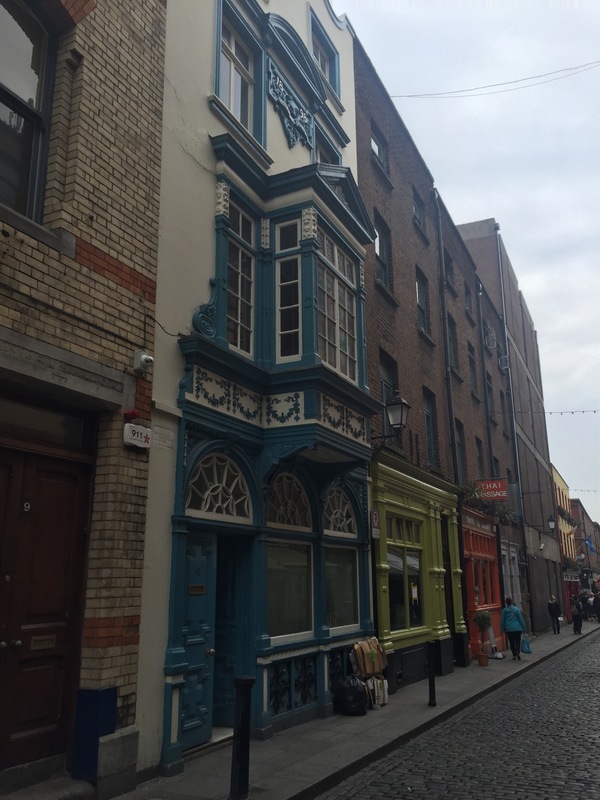 Since I’ve mentioned it twice now, I should probably add a little about Temple Bar. 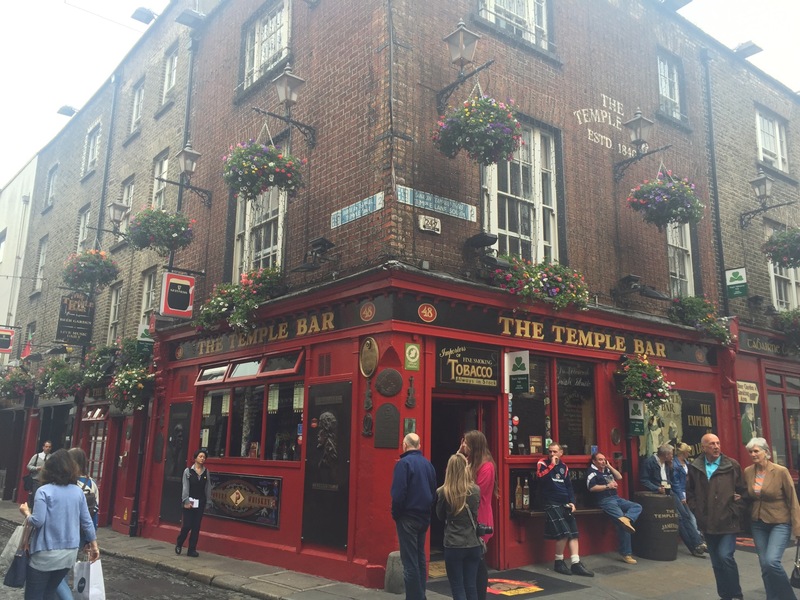 Temple Bar is an area just on the South Bank of the river Liffey, and is where you’ll find the majority of the tourists. There was a football match between Ireland and Scotland taking place during our stay and the whole of the area was like a sea of tartan, kilts, Mrs Brown’s Boys masks and bleary, drunken eyes.There is a pub itself called Temple Bar, which can lead to a bit of confusion, but do beware, the prices in this whole area are of course much higher than they would be otherwise. 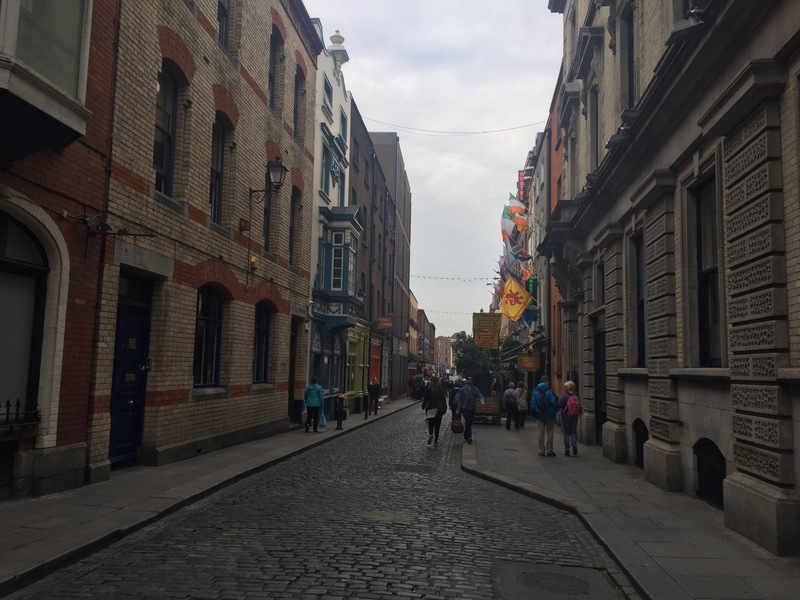 As we discovered, although the atmosphere is buzzing and infectious, there’s not really such a thing as value for money in Temple Bar (the area, not the pub. You get me). 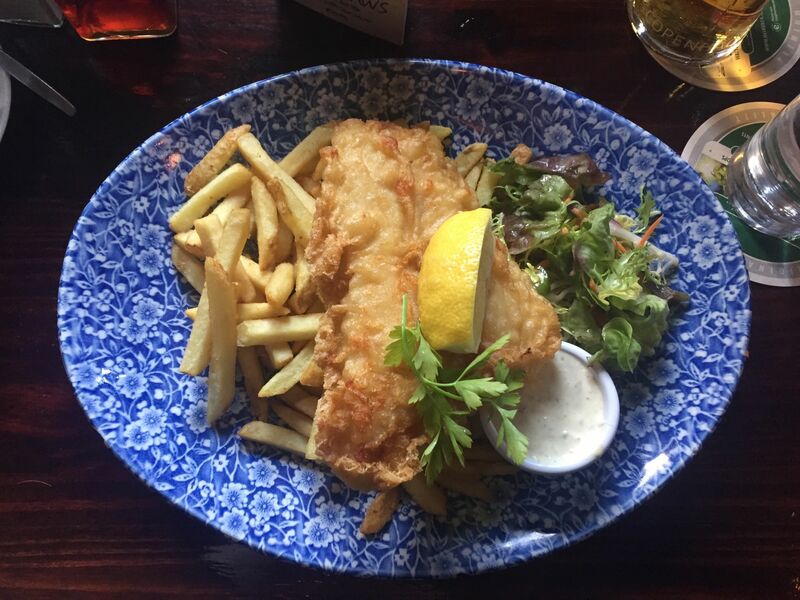 However, if you’re looking for good old Fish & Chips, we went to The Old Storehouse in Temple Bar, and I’d certainly recommend it. 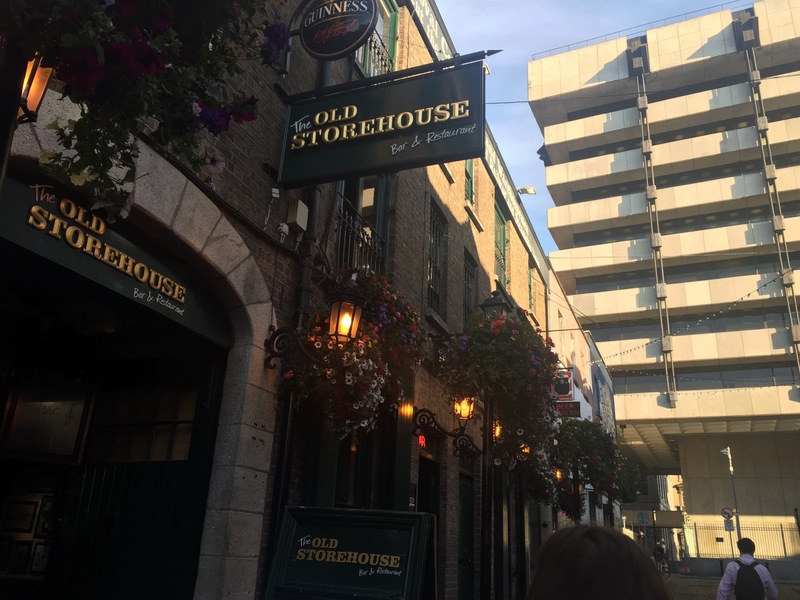 As with many other pubs it’s fairly ‘quaint’, but what it lacks in size it makes up for in charm. 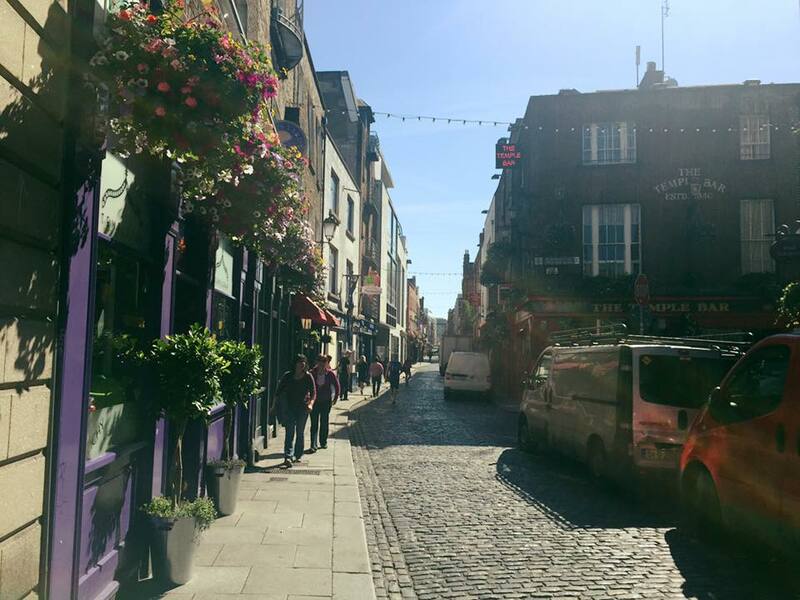 There was live music performed by an Irishman who serenaded us with traditional songs, both old and new, and this was really one of the best parts about Temple Bar as a whole; the Irish songs being beautifully sung, and the voices spilling out from the pubs into the cobbled streets. Speaking of colour, the post boxes are green. GREEN. It’s possible that we got a little too excited about this, especially given how immune we are to the novelty of our famous red, British post boxes which we see every day. 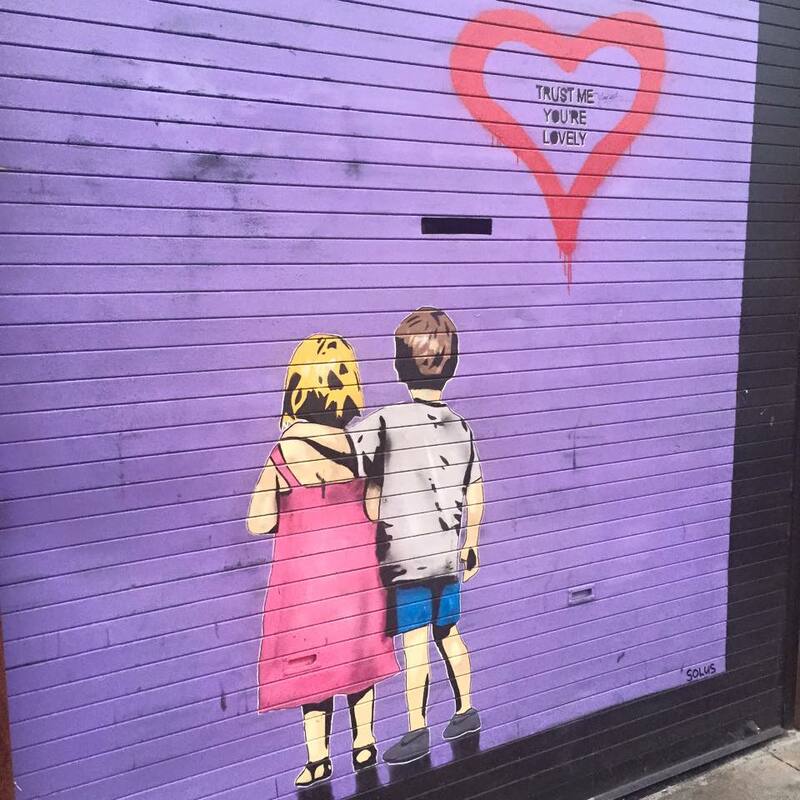 Another instance of finding a renewed appreciation for the things we see every day came when I stumbled across this bit of street art while walking down Aungier Street, back to our hostel. There’s something about its simplicity and innocence which I was drawn to and still makes me smile when I see it. 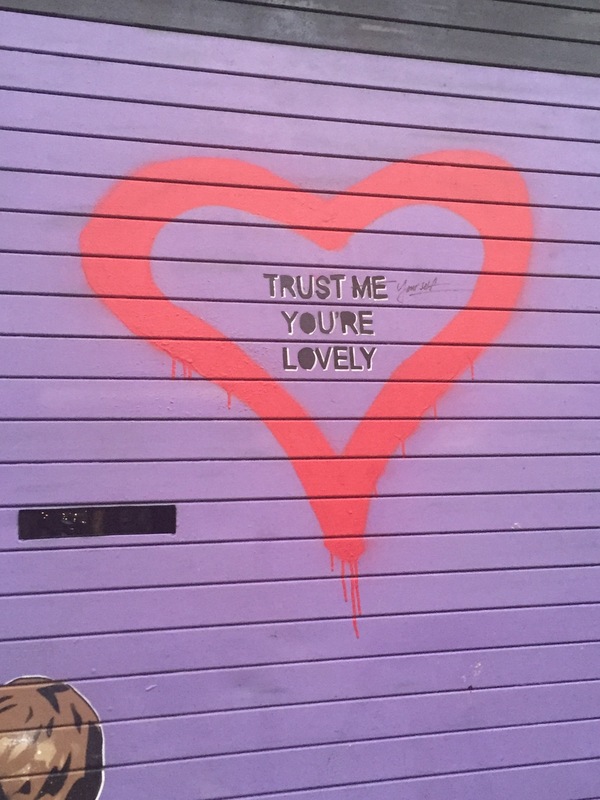 I know we’ve got Banksy, but Dublin, you do graffiti pretty well, too. 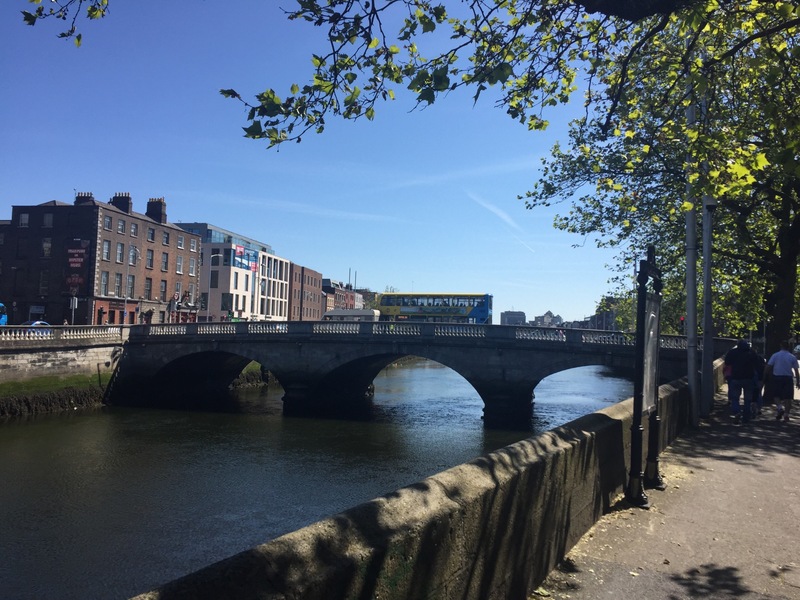 There is so much that the Irish capital does well, from its genuinely kind inhabitants to its beautiful buildings and everything in between. 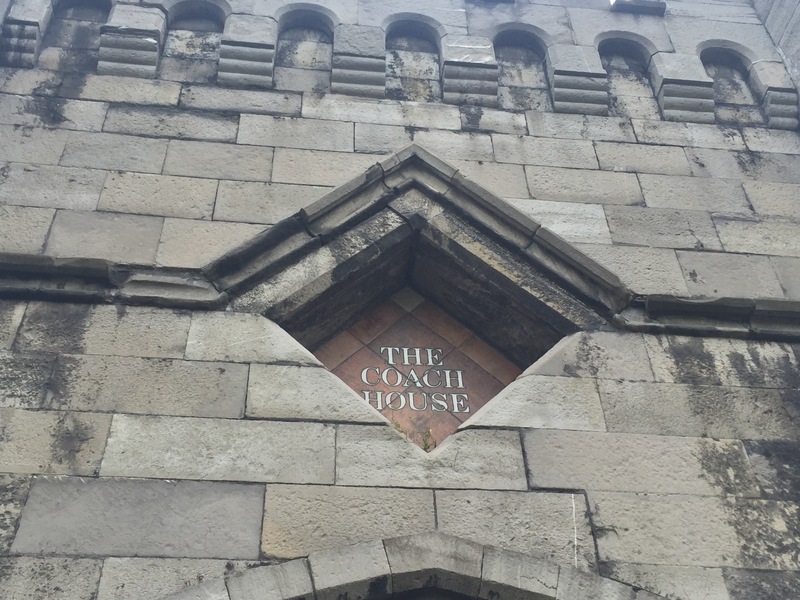 Just to round off this second and final post on Dublin, there are just a few more things I wanted to share with you. 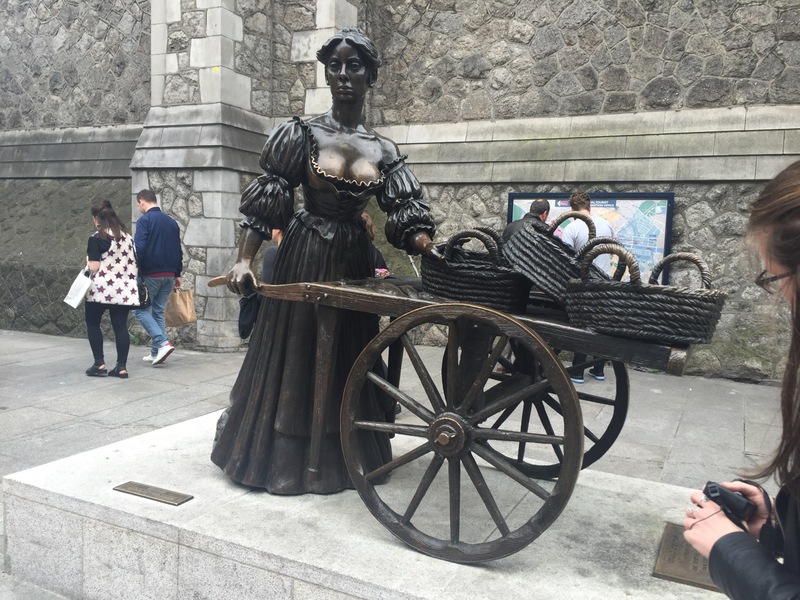 Dublin is fantastic. 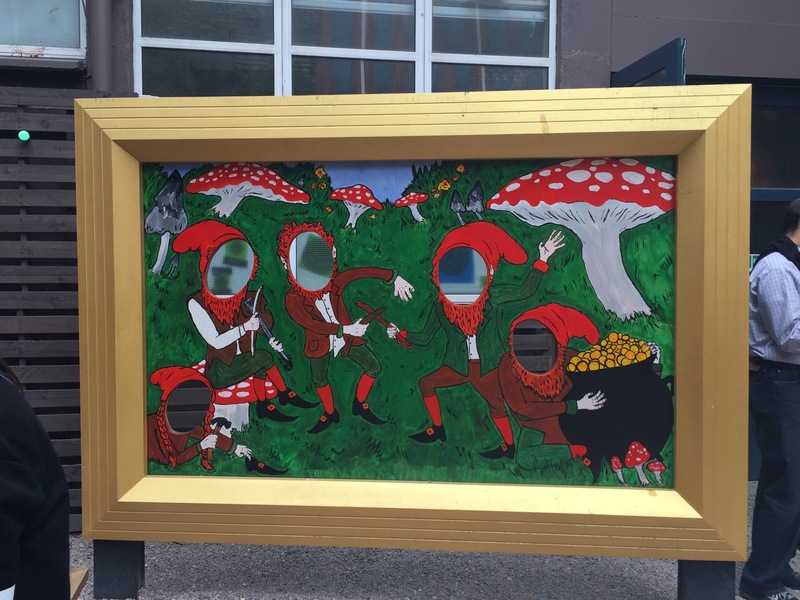 It has many a string to its proverbial bow, and even manages to successfully navigate the more kitsch side of things, namely in the form of the Leprechaun Museum. Yes, really. 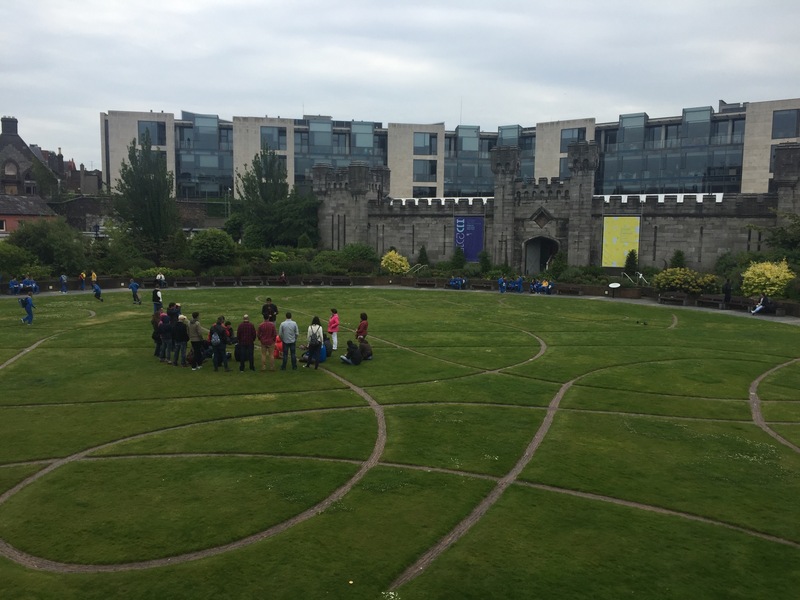 It’s a storytelling kind of tour which takes you through the museum, and at the end you’ll have the chance to release your inner child/tourist with this little leprechaun scene. I’ll spare you the horrendous photos of us poking our heads through. 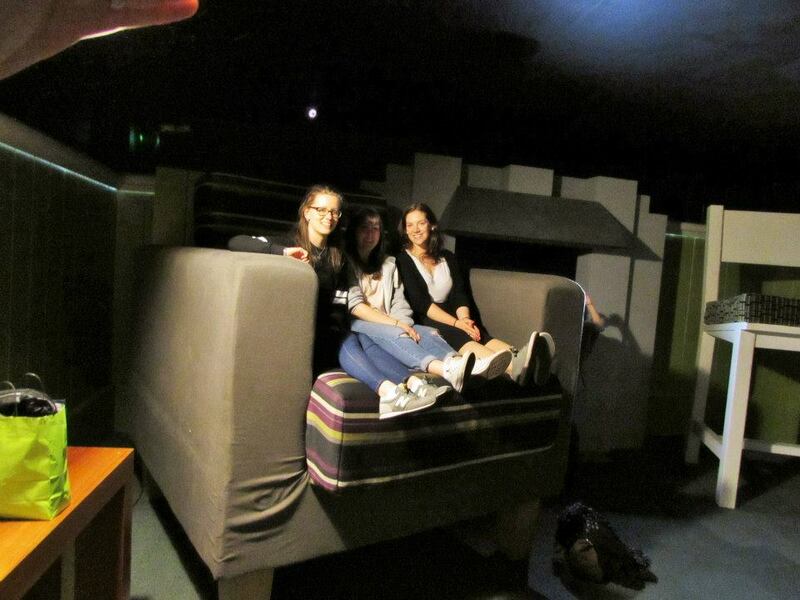 Oh, and your inner child will also love the part of the tour where you walk into a room with giant furniture, allowing you to see what it would be like to be a little leprechaun in our world. It’s a lot trickier to get up there than you might think. Injuries were caused. 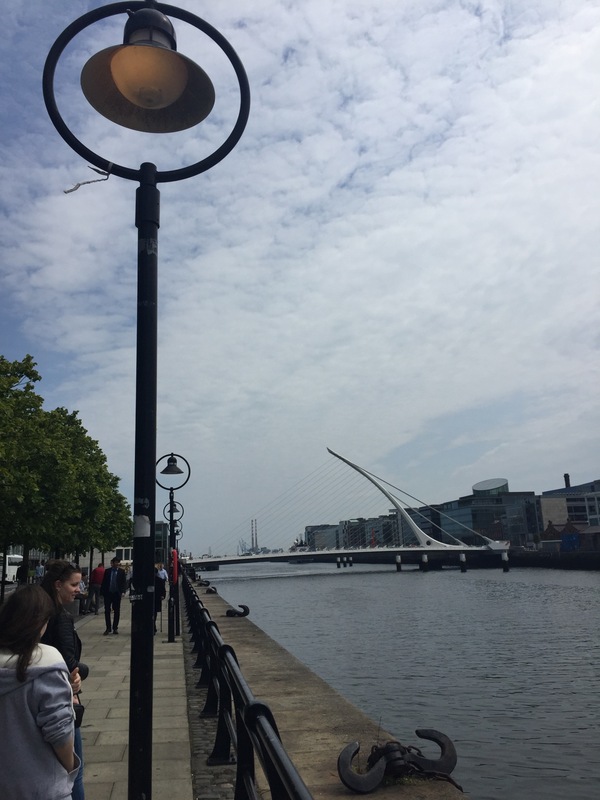 Anyway, the moral of the story is that Dublin was a brilliant city to visit for a few days, and we really did love it. 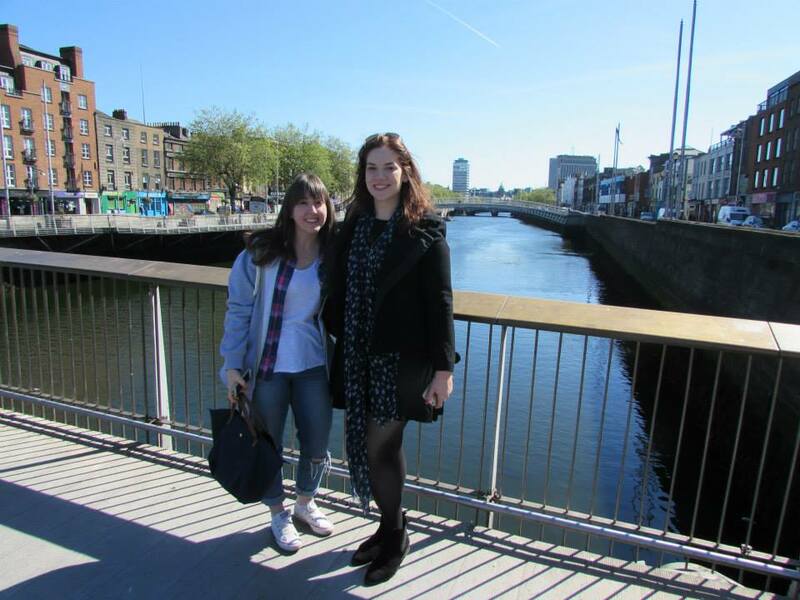 Dublin, we will definitely be back.